The narrator of this podcast, Peter Sokolowski, combines wordplay and interesting facts in every one of his expositions. For the vocabulary-intensive GRE, I can think of no other podcast to listen to on the go that will expose you to a greater number of obscure and arcane words that you might encounter on your test. Sometimes you'll even encounter a word or two that will perfectly explain a concept that was previously ineffable. The episodes are interesting and very short, making them especially easy to binge consume when you're waiting for something -- like deboarding an airplane. David Mariano is a Director with Western Reserve Partners, a middle market investment bank in Cleveland, OH. David has spent most of his career working with business owners, CEOs, CFOs and Heads of Corporate Development as an advisor, part-owner and/or business leader. David has served in many other capacities, including Manager of Financial Planning & Analysis, VP of Finance, Head of Marketing and General Manager, and has made the transition from an entry-level, analytical role to one focused on leadership and business development. You and I and everyone else in the first 10-15 years of their career (and beyond, for those willing to admit it) would really like to be mentored, but mentors are impossible to find. I am frequently asked for advice about careers in finance and can do some of this in person or over the phone, but nowhere near as much as I'd like or as often as I'm asked. Finance Career Launch fills this void. Each episode gives an insight into what it is like to work in or recruit for traditional jobs in finance. Worth listening to as you do your due diligence on the future career you want to have. Articles from the acclaimed (and expensive) Harvard Business Review magazine come to life as the staff of the publication sit down with the authors and thought leaders behind the main articles of each issue. Topics are wide ranging, but can veer on the dry and academic side of things. These podcasts are great for finding topics to bring up in your MBA interview, especially if at HBS. You'll have a great answer if you ever get asked about the research you've done on the school. Great for plugging in on long commutes. Not so much journalism as advocacy, but you're getting it from a market leader in the VC industry. At the very least, it is worth knowing what Andreessen Horowitz is thinking about, especially if your stated goal involves working in the San Francisco ecosystem. Imagine you are friends with hundreds of real estate investors and entrepreneurs. Now imagine you can grab a beer with each of them and casually chat about failures, successes, motivations, and lessons learned. That’s what The BiggerPockets Podcast delivers. Co-hosted by BiggerPockets’ founder & CEO Joshua Dorkin and active real estate investor Brandon Turner, this podcast provides actionable advice from investors and other real estate professionals every week. The show won’t tell you how to “get rich quick” or sell you a course, boot camp, or guru system; instead, the BiggerPockets Podcast will give you real strategies that work for real people. Good for: personal finances, understanding real estate and investing. Solid tips and advice presented in a no-frills way. Little frills, little fluff. Mostly conversations with those who have made it in the real estate industry. Criticisms include that the hosts talk too much relative to the guests and that the level of sarcasm becomes grating. Good for: those who live on the east coast but want to speak the language of technology, entrepreneurship, and venture capital spoken on the west coast. 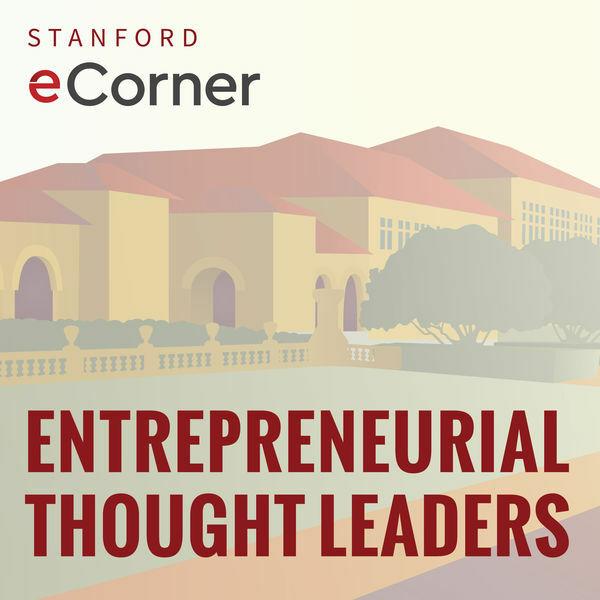 A good blend of thought leadership, high-information/low-noise conversation, and questions asked by an intelligent business school student body. Packed full of good lessons for tech entrepreneurs and inspiring anecdotes to motivate them when times get tough. How much do the top MBA admissions consultants charge?